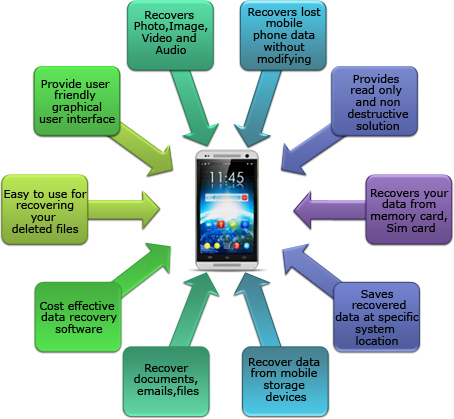 Mobile data recovery is the method of using manual and automated techniques to backup and restore the data, files, firmware and/or applications of a mobile phone. It is a technical process carried out to recover a phone's normal working conditions after said conditions have been interrupted due to any problem or issue. Cell phone recovery is also known as mobile recovery. We Provides some specialized services in mobile recovery such as androids,apple, and windows softwares. We recover data From SD Card/Memory Card, External Hard Drive, Pen Drives or any portable drives which are corrupted and have viruses in them. Data Engineers have Highly specialized team to handle the removable media recovery with absolute accuracy also we have high success rate.